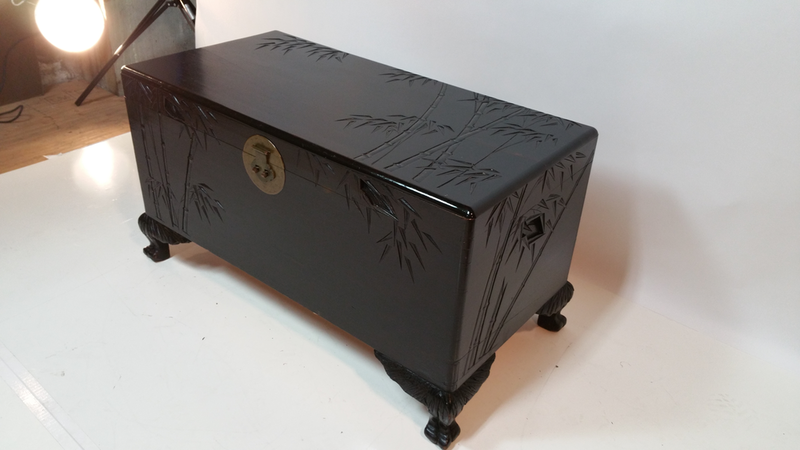 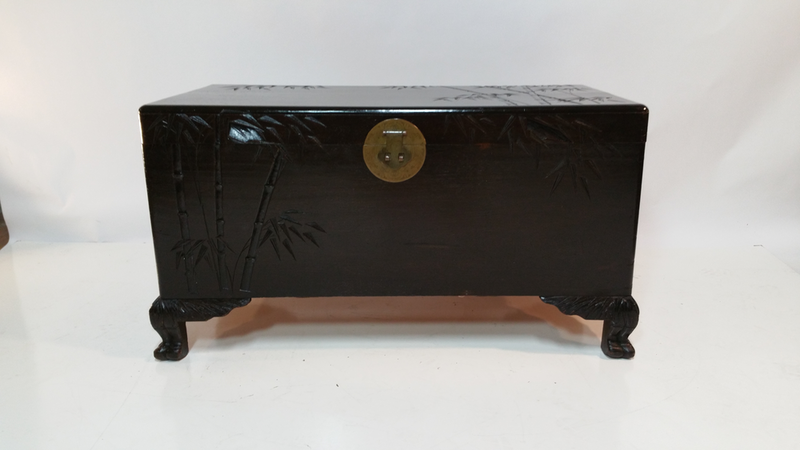 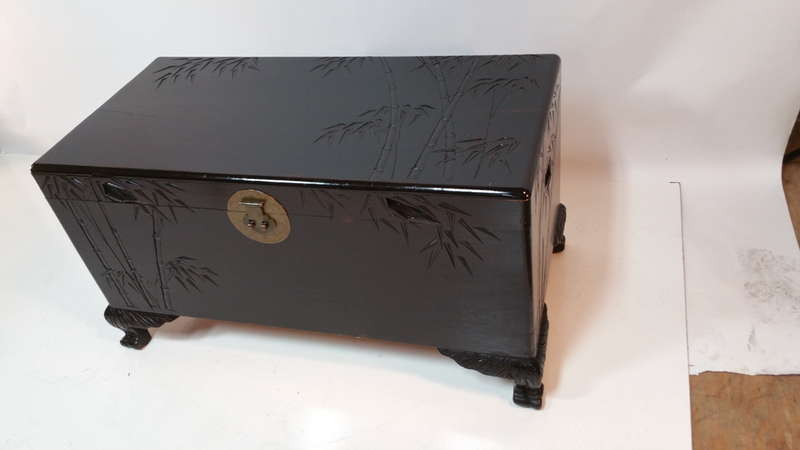 A handsome, vintage, 1930's Chinese wood blanket chest with nicely done carving in bamboo pattern. 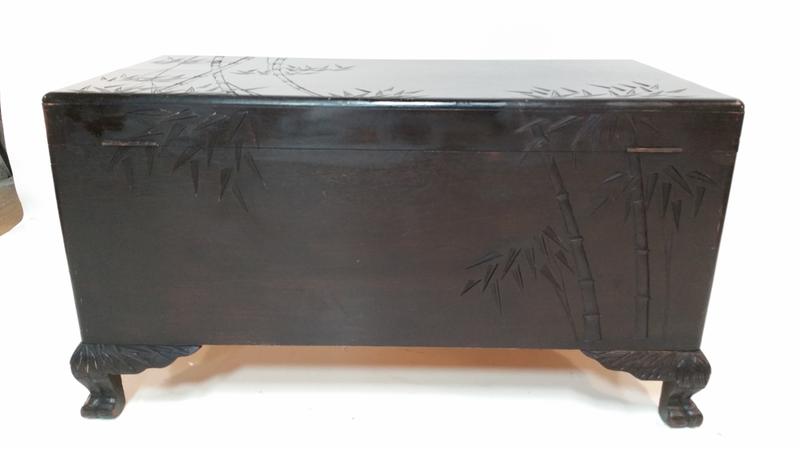 Very nice condition with freshly polished exterior. 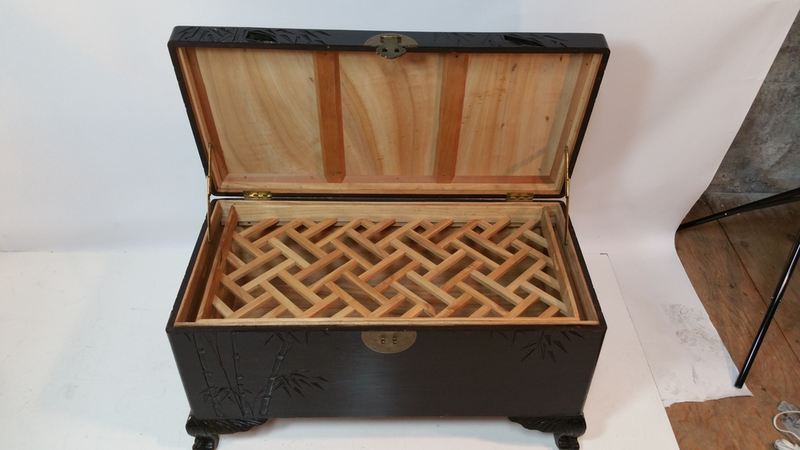 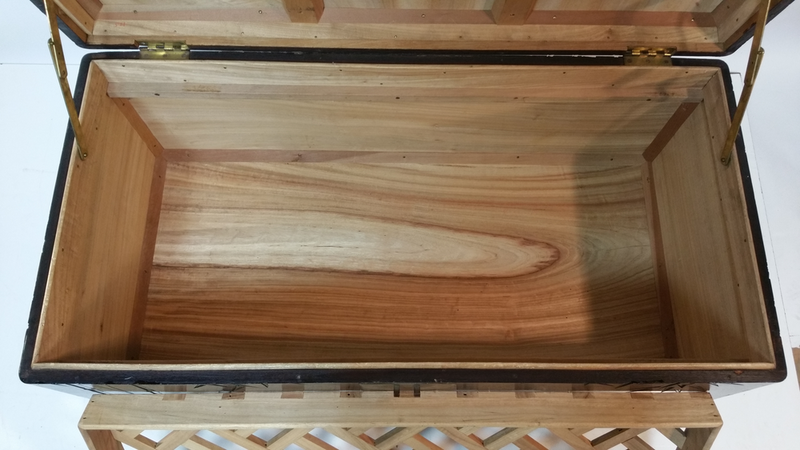 Interior is camphor with original removable top shelf still intact in perfect condition.